A father filmed himself hanging and hitting his four-year-old son while drunk. After hiding for two days, he was finally arrested. A video went viral on social media platforms wherein a father filmed himself hitting his son, who was hanging upside down. The father kept on asking the four-year-old if his mom is happy with a certain decision that he made and when the boy failed to answer, the father proceeded on hitting him. 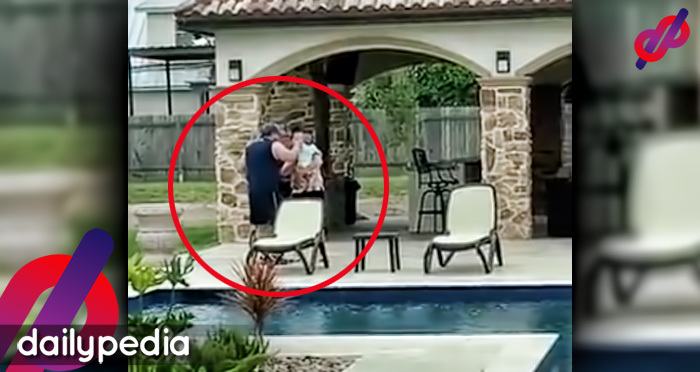 Even as the child began to cry, his father still didn’t stop punching and hitting the kid. According to an investigation by the Sta. Rosa, Laguna police, the incident happened on December 25, in the middle of Christmas Day. The boy’s aunt asked the police for help and the child was rescued the day after. 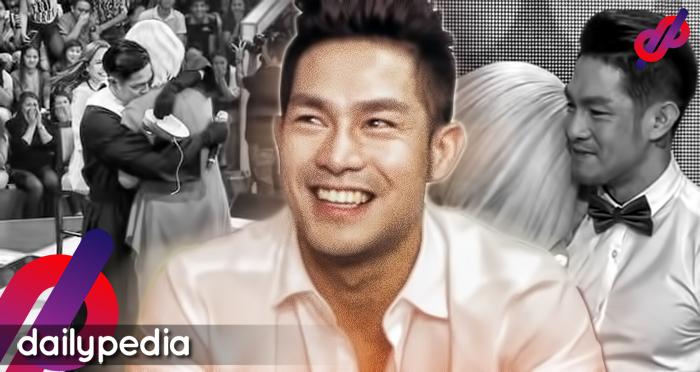 He is currently in the care of the Department of Social Welfare and Development. After hiding, the father was finally arrested on Thursday, December 27. Superintendent Eugene Orate stated that the child was scared and admitted that his father hit him. It turns out that the suspect hid somewhere in Barangay Pooc. He admitted that he was drunk when the incident happened. 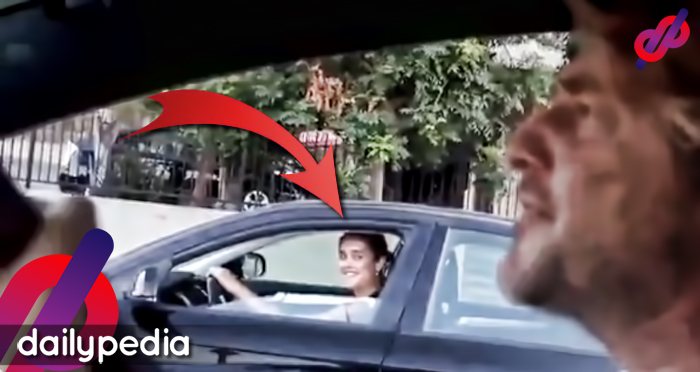 The father sent the video to his sister, and she immediately called the police. The child’s mother stated that she has no interest on filing a case against the father as long as she gets her child. And with that, the City Social Welfare and Development (CSWD) will be the ones to file a formal complaint. 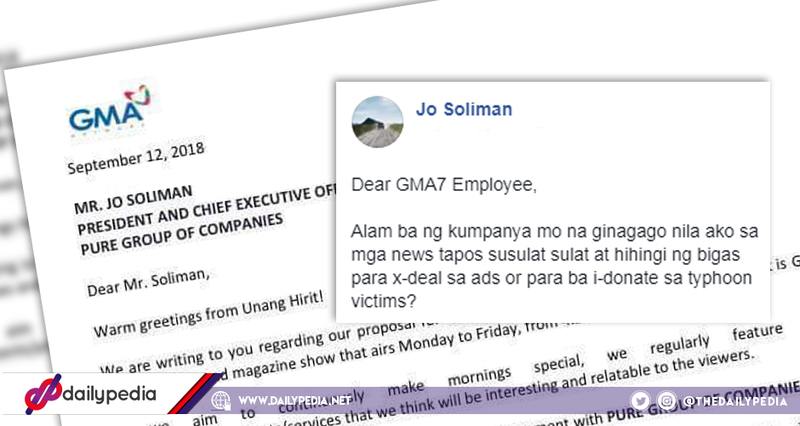 Jojo Soliman rejected GMA’s offer of having an exchange deal. He stated that he will never deal with mainstream media again. Jomerito “Jojo” Soliman, owner of Sta. 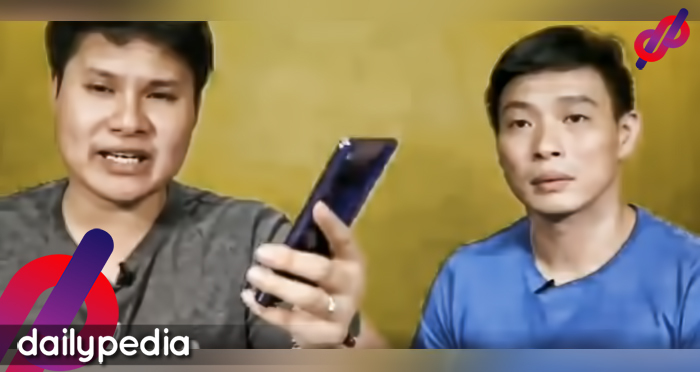 Rosa Farm Products, exposed GMA Network’s Unang Hirit’s email requesting for an exchange deal regarding rice donations for the show’s Serbisyong Totoo. 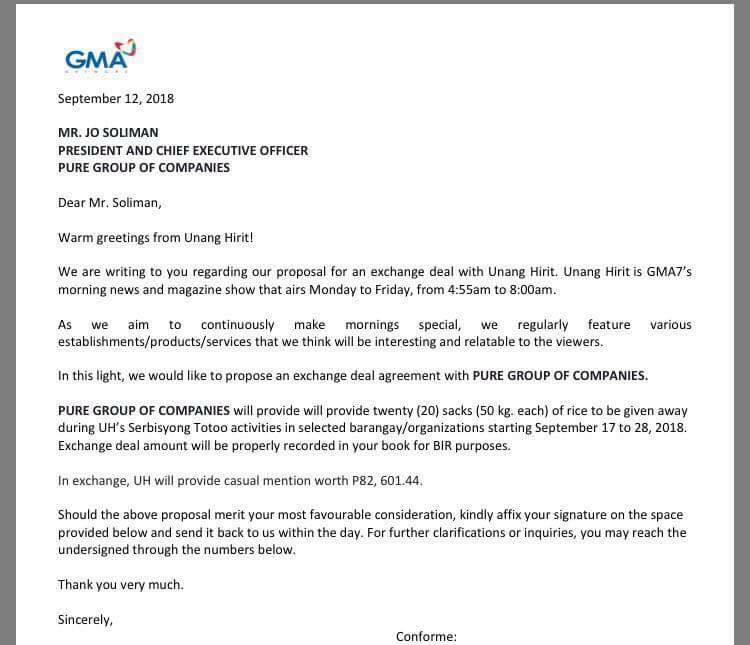 The email contains a proposal for a deal between Pure Group of Companies and the morning show. In his caption, he stated that the media outlet has the audacity to ask him for an exchange deal even if they’ve treated him like a fool before. Alam ba ng kumpanya mo na ginagago nila ako sa mga news tapos susulat sulat at hihingi ng bigas para x-deal sa ads or para ba i-donate sa typhoon victims? Soliman said that he never deals with the media but this solidified his decision. 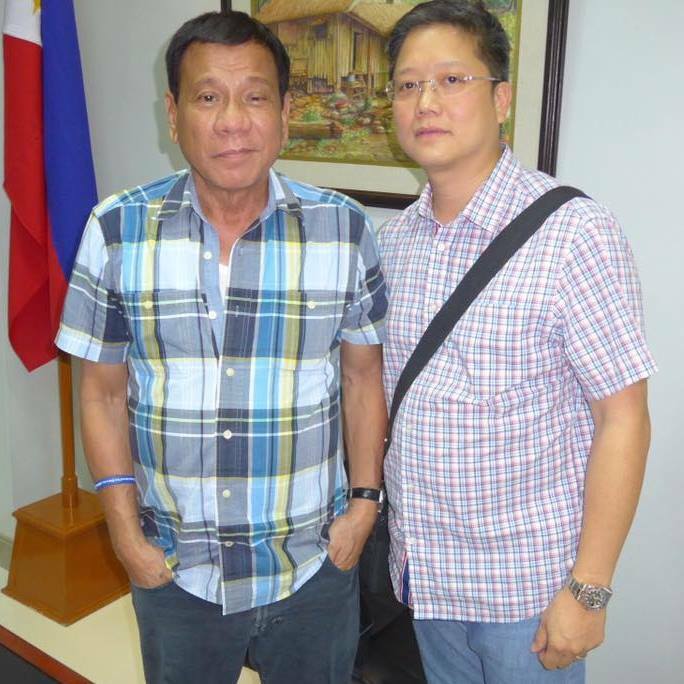 He said that he will directly approach agencies such as Department of Social Welfare and Development, National Disaster Risk Reduction and Management Council, National Food Authority, and Department of Agriculture when he wants to donate. Hindi na po ako dumadaan sa media. Dati oo pero ngayon po HINDI na. We give donations/ contributions directly to the people or we course them thru DSWD, NDRRMC, NFA, DA. In August 2018, Soliman received a warning from President Rodrigo Duterte regarding the legitimacy of his business. This was after the Bureau of Customs discovered 100,000 sacks of imported rice brought by Sta. Rosa Farm Products. He defended himself, saying that the sacks of rice were properly documented and said that he has no plans of selling it for a higher price. “Our company immediately responded and committed to help the government when the President publicly announced that he was scrapping the import quota in order to bring in more rice and bring down the prices for the benefit of consumers, particularly the low-income households. The United Nations Children’s Fund (Unicef), through the Department of Social Welfare and Development, will extend P153 million financial assistance to beneficiaries of the Pantawid Pamilyang Pilipino Program (4Ps) on over 5,801 households in the municipalities of Guiuan, Hernani, Mercedes, Balangkayan and Salcedo who were worst affected by Super Typhoon Yolanda/Haiyan. The identified beneficiaries are from vulnerable households unable to meet their food and essential nonfood needs. The partnership exemplifies strengthened support of Unicef to the 4Ps household survivors in its current recovery phase activities and reaffirms its strong commitment in its work to advance the welfare of children. Under a memorandum of agreement signed by Unicef and the Department of Social Welfare and Development (DSWD), each household beneficiary will receive P4,400 monthly, on top of the regular cash grant provided by the department. Family beneficiaries of 4Ps usually receive a cash grant worth P500 and health grants of P300 to P500 each for at least three children who are studying in elementary and high school. These cash grants are given provided that the household beneficiaries will send their children to school or will have 85-percent attendance, regularly visit health centers for checkup and updated receiving of vaccinations to ensure that their family and children are healthy and educated or in school, and attending Family Development Sessions that teach them some lessons in improving their family relationships and lives. 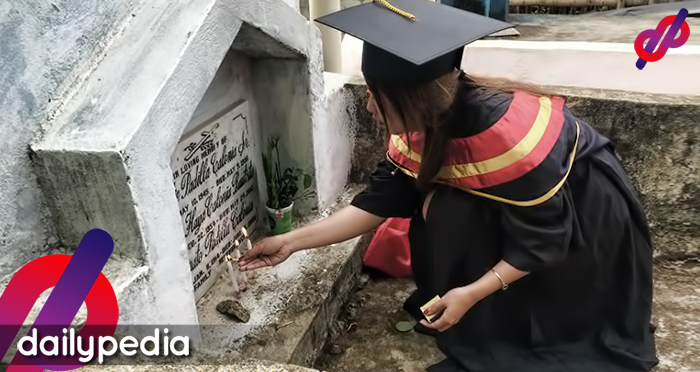 The program is an investment of the government on the health and education of the poor families to enable them to finish studies, value the essence of good health and become productive future work force of the country that will have higher chances or capability to become self-sufficient as they become employable or earn incomes that will lift themselves and their families from poverty. The Unconditional Cash Transfer (UCT) program of the UNICEF will benefit 5,801 4Ps households in the Yolanda-hit municipalities of Guiuan, Hernani, Mercedes, Balangkayan and Salcedo, all in Eastern Samar. The additional cash grant will cover six months starting July until December 2014.